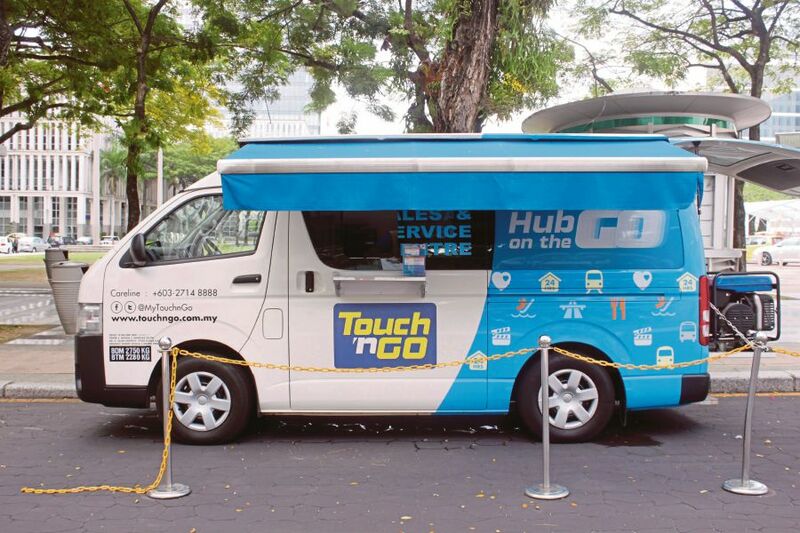 A mobile Touch n Go counter. The pre-paid electronic-cash card is the alternative to cash and can be used almost anywhere and for purchases as low as RM1. MALAYSIA is not perfect; I’m yet to find the “perfect” place. But, despite all the talk of trying, succeeding or maybe failing to reach one level of development or another, by a certain date or another, Malaysia surprises and surpasses other countries in quite a few ways. “Where are you from?” they ask. The teksi driver, the security guard, the clerk at the post office, the bank and the petrol station — they all want to know. My explanation is usually quite standard, the weather, the people, the food. While these are all very valid reasons, they are also a wee bit generic, thoughtless maybe. No different from many locals and foreigners alike, I take a lot for granted here. But, no sooner as I travel home to this wonderful country of mine, do I realise that I could have pointed out a few other, maybe somewhat mundane little perks. Does my country roll out a red carpet at the immigration counter for its most deserving travellers? No, they don’t. We have a queue for visa-free entries and a few for everybody else. The same grey booths, the same grey faces greet every tired voyager. Okay, the carpet is not red at the Kuala Lumpur International Airport (KLIA) either, but at least it’s orange, close enough to make me feel special, and most importantly, very welcome. First impressions are important, and go a long way to reconcile me with the fact that I will have to wait for some time for my luggage to emerge on the conveyor belt. Once settled back into my daily routine of living in KL, I tend to forget that life’s little luxuries are plenty here. One of which is my beloved Touch n’ Go card. I breeze through the toll plaza with it. No need to stand in line. I “masuk” and I “keluar” a multitude of parking garages with it. No need to claw at handfuls of coins. I even pay for my little guilty pleasures at the corner store with it. No need to bring my wallet when I run out of, ehm, chewing gum. When I tell my compatriots back home that I can do all that with one card, which is always handy and ready for action in my car, they goggle. Some will even Google it. Once I have effortlessly sailed through traffic, parked my car and stocked up on chocolate bars, I settle in my comfy armchair at the Gold Class cinema. Recliner seats, cosy blankets, food, drinks, and real coffee (what else) are stylishly served up on a little table for my utmost convenience. There’s even a little buzzer button that will get me more goodies should I feel so inclined. The movie better be good, or I will doze off over so much comfort, but that’s a different story. My homies overseas envy my luck and the affordability of it all. A Coke and a box of popcorn will cost this much back home. Never mind the armchair. And then, there’s golf. Do I play golf? Well, not really. I’m too busy enjoying my Touch n’ Go card and my luxurious movie seat. But, when I do venture out to these vast expanses of manicured landscapes, I usually don’t get past the driving range. Yes, I’ll admit to be that hopeless. Do I need to carry a basket of the dreaded little balls with me to practice my tee off? Not only do I not need to lug anything around, I don’t even need to bend down to place the golf balls on my tee. They simply pop up in front of me, pushed out through the astro turf like magic. Each little globe is perfectly positioned, as I am ready to hit, and sometimes miss, to propel it far into the gorgeous scenery. Golf is a sport for lazy people, but that too, is a different story. My few golfing countrymen and women shake their heads in disbelief, while they not only carry their own golf balls, but also their bags and clubs, along for hours. Maybe these little indulgences aren’t accessible to everyone, and they don’t define a country’s overall state of development; I’ll give you that. But, they do show that we are often all too quick to dismiss what makes everyday life fun, special and enjoyable, what makes the grass greener on this side of the fence.